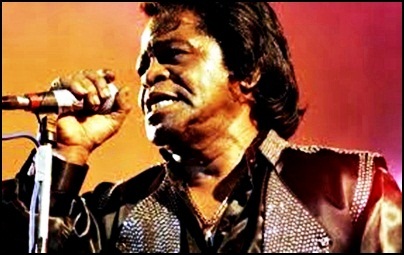 On December 25, 2006, James Joseph Brown died aged 73. He was singer, songwriter, producer and bandleader, regarded as the creator of funk music, and one of the most important artists in the history of the modern music. Named the “Godfather of Soul” and the “Hardest Working Man in the Show Business”, for all the achievements in his six decades long career, Brown received many honors including” inductions into the “Rock and Roll Hall of Fame”; “Songwriters Hall of Fame”; “Lifetime Achievement Award” at the 34th annual “Grammy Awards”; “Lifetime Achievement Award” at the 4th annual “Rhythm & Blues Foundation Pioneer Awards”; a star on the “Hollywood Walk of Fame”; inductee to the “New York Songwriters Hall of Fame”; honored as the first “BMI Urban Icon” at the “BMI Urban Awards”, “Lifetime Achievement Award” at the “BET Awards”, and induction into the “UK Music Hall of Fame”.Magazine “Rolling Stone” ranked him at number seven on its list of the “100 Greatest Artists of All Time”; in Joel Whitburn’s analysis of the “Billboard R&B” charts from 1942 to 2010, Brown was ranked as number one in “The Top 500 Artists”.list, magazine “Rolling Stone” cited him as the most sampled artist of all time, and In an article for the same magazine, critic Robert Christgau cited Brown as “The Greatest Musician of the Rock Era”. Brown is also one of the best sold artist of all times. Previous PostOn December 24, 2016.Next PostIn December 1971.